We are proud to offer you this high quality red essential oil case for 30 aromatherapy bottles, stylish practical case at a brilliant price.  Strong and durable bag for all diy aromatherapy users and professionals.  30 storage compartments that will fit 30 essential oil bottles (both round and square size bottles will fit inside this case).  Red soft feel wipe clean fabric.  Carry handle to make transportation of your oils easy.  Hard base to keep the bag sturdy keeping your essential oils upright, soft inner slots to prevent your oils from clinking together, and a double zip closure to keep your oils safe and secure. larger 15ml size, the 30 slot aromatherapy case can hold them all. Complete with a carry handle , you'll find it easy to take your essential oil bag with you. 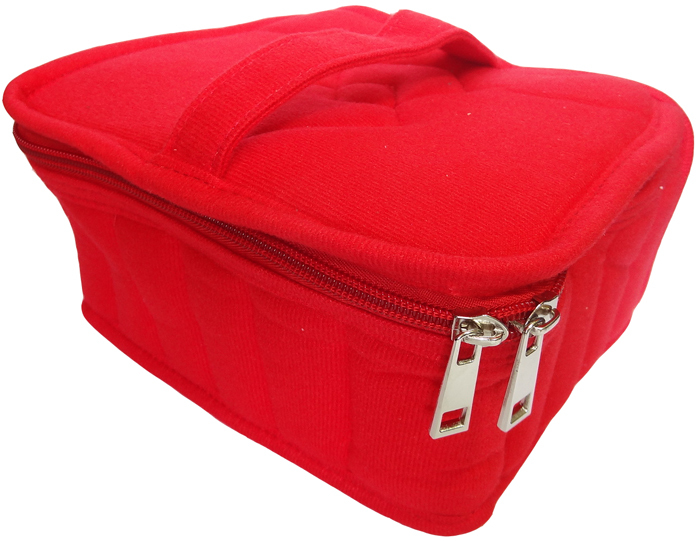 If this red 30 bottle essential oil Bag isnt quite what you are looking for, please feel free to browse the rest of our wooden aromatherapy boxes and cases.